The Golden Age of television in the 1950s produced iconic hits like I Love Lucy and Leave It To Beaver which everyone knows from decades of reruns. Forgotten today are the hundreds of lost programs that never aired more than once or twice to fill the evolving line-up of network television and its constant demand for content. Many shows came and went, often featuring rising talent that would go on to bigger and better things. Hour-long anthology shows would often pluck talent from Broadway in producing one-off productions for the growing television market. 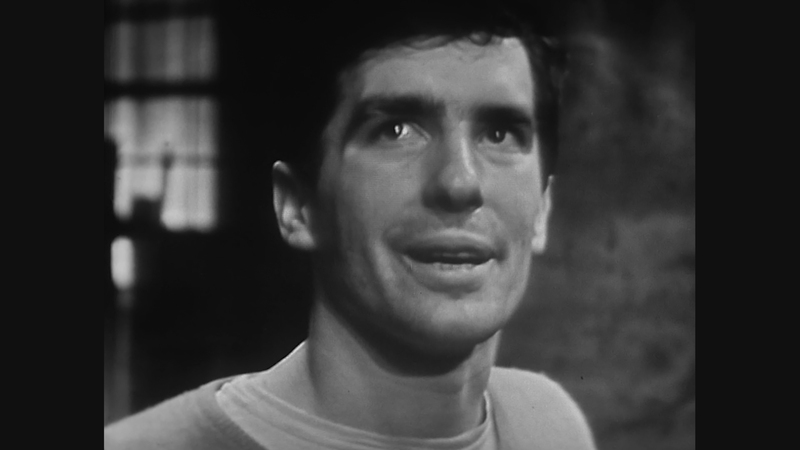 Television’s Lost Classics: Volume One rescues two such episodes, both featuring a young John Cassavetes as their lead actor, alongside director Sidney Lumet cutting his teeth on one of the episodes. 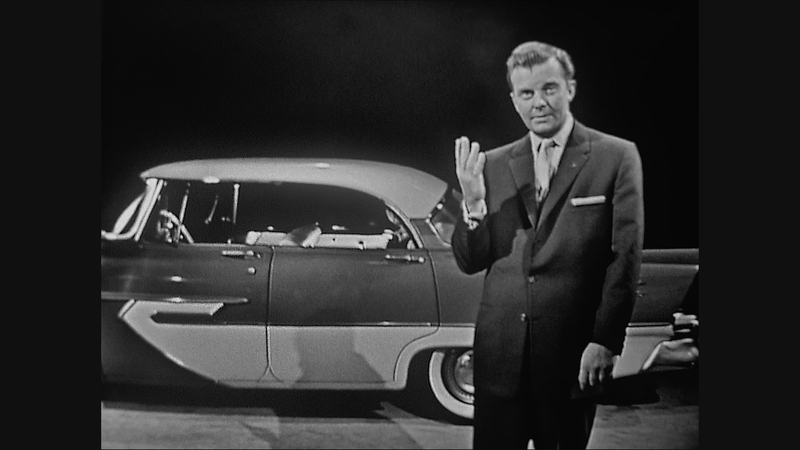 It’s a peek back at an earlier television era, including the vintage commercials for Chrysler’s new cars and Elgin’s lady watches. Ladies, look how slim their watches fit on your wrists. Probably most famous for his role in Rosemary’s Baby, John Cassavetes had long careers as both an actor and director in Hollywood. 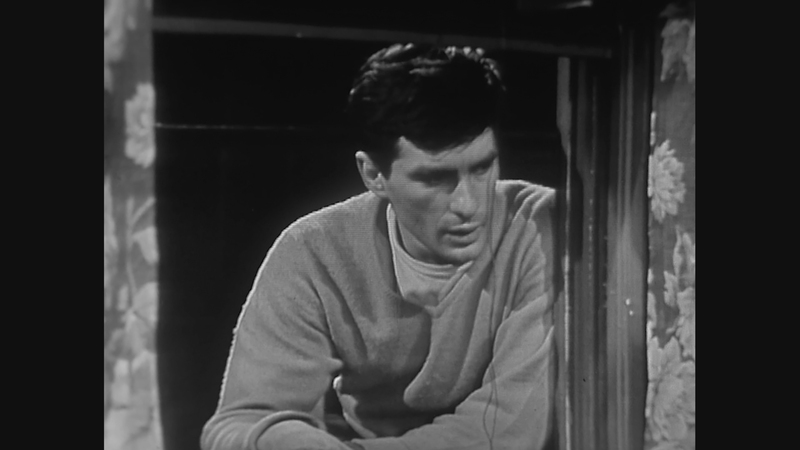 The first episode here is “Crime In The Streets” from 1955, starring a passionate young Cassavetes as Frankie Dane. Frankie is an 18-year-old hoodlum that lives with his mother and young brother Richie. 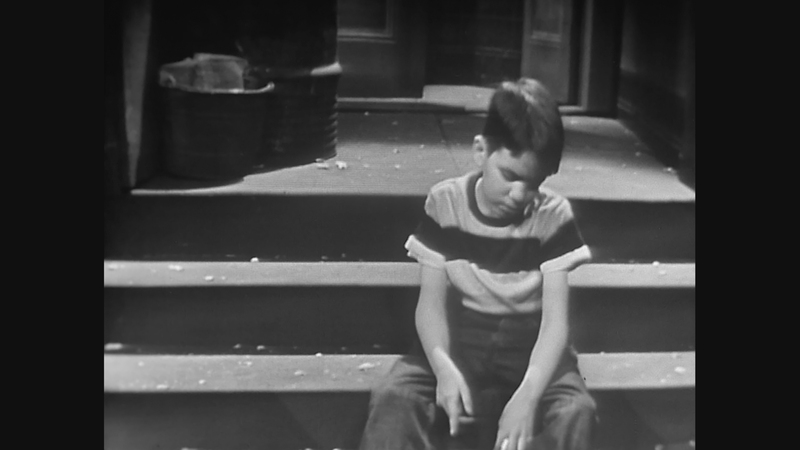 Interestingly enough, the young Richie is played by a 12-year-old Van Dyke Parks, who would grow up to be an important film composer and songwriter. Van Dyke Parks would go on to collaborate with Brian Wilson in creating songs for the Beach Boys in their heyday. Having survived a tough childhood on the mean streets of New York with no father around, Frankie is the head of a juvenile gang. The only thing he cares about beyond himself is some feeling for his little brother. That proves problematic when Richie overhears Frankie plotting to murder someone outside their apartment. 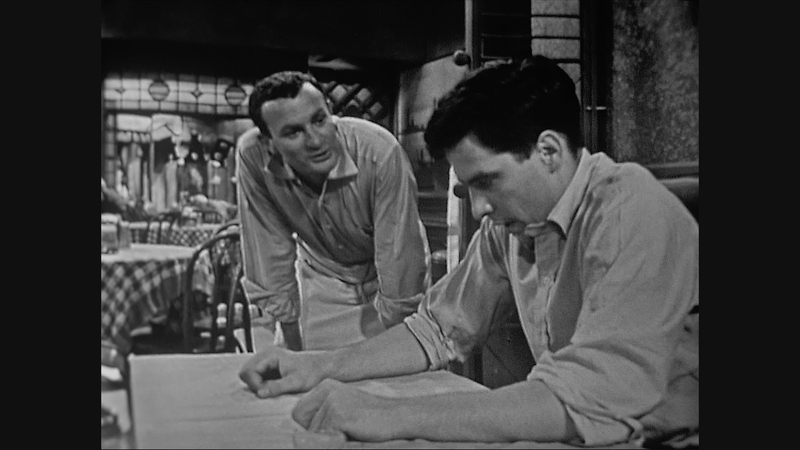 Directed by Sidney Lumet, who would go to direct such films as 12 Angry Men and Serpico, it’s a standard teledrama of the era. The predictable plotting does allow its cast to chew the scenery. 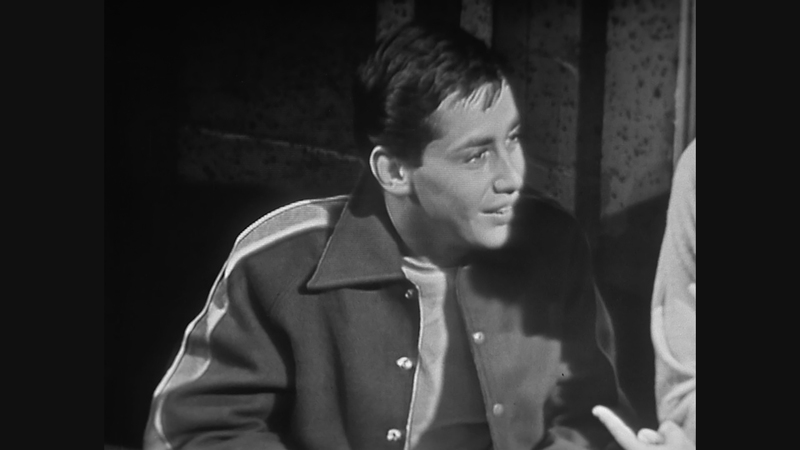 Outside of Cassavetes and the sharp direction by Lumet, it’s not particularly memorable. 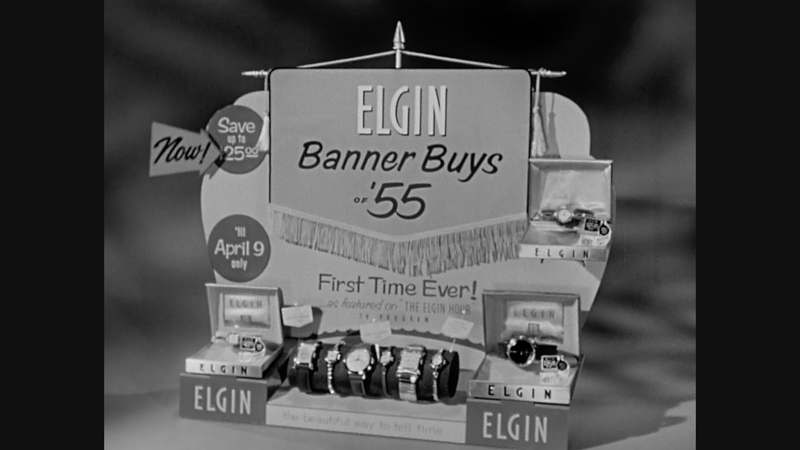 Presented as part of the Elgin Hour, sponsored by the Elgin National Watch Company, the vintage commercials for their watches may be more entertaining. 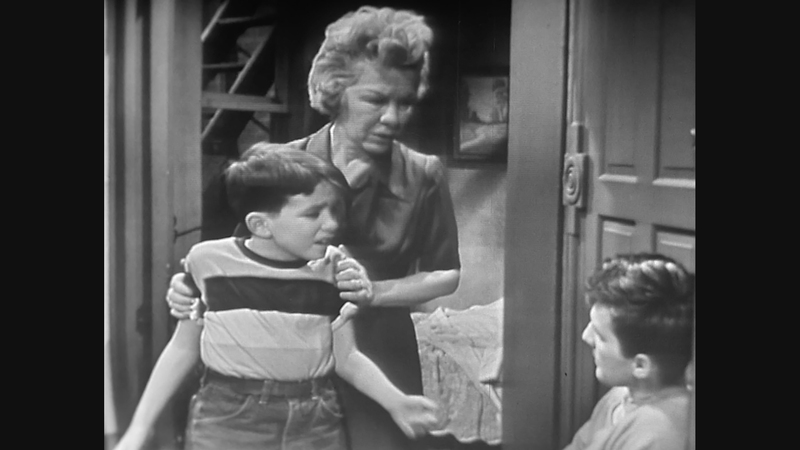 The second included program first aired in 1956 on CBS. 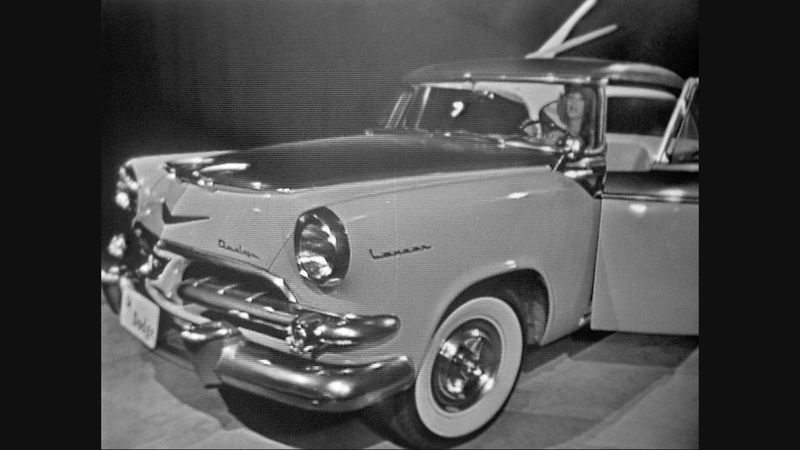 Presented by the Chrysler Corporation for the Climax! Series, “No Right To Kill” is based on Dostoevsky’s classic novel Crime and Punishment. A struggling writer from the Mid-west, played by John Cassavetes, is at the end of his rope as he can’t make a living at his craft in New York City. Beset by his problems, the struggling writer kills a pawn broker in a fit of rage. Cassavetes stars alongside actress Terry Moore, playing a hopeless love interest that takes pity on the poor writer’s struggles. This is actually a fairly sophisticated teledrama, transcending the feel of what these early shows usually were about as stage plays badly translated to television. The drama is convincing and has interesting characters. No Right To Kill is easily the better of the two programs. 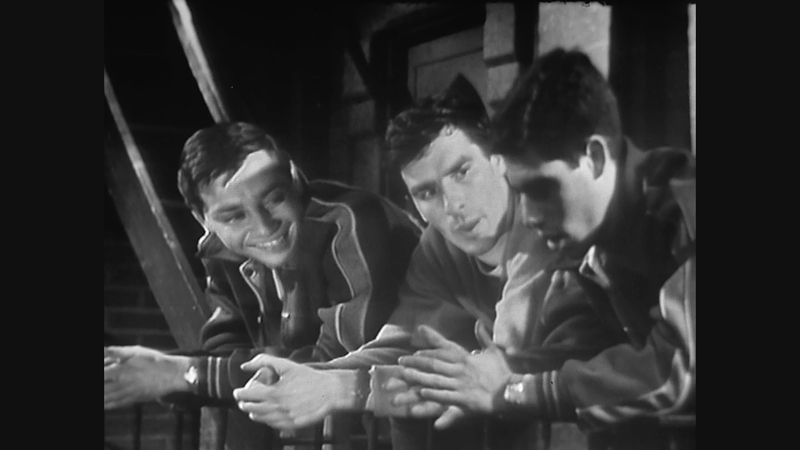 Crime In The Streets has Cassavetes doing his best Marlon Brando impersonation, probably the model for every young actor in the 1950s. From today’s perspective, it’s rather ridiculous in the long, emotive close-ups. Neither “lost” episode is going to change your life. Nostalgia has to help sell these programs. 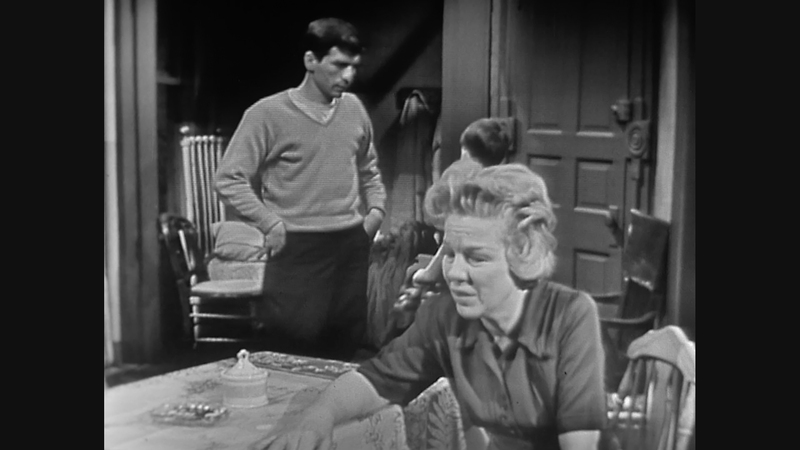 In some respects, the vintage commercials and learning how television was packaged in the 1950s are the primary reasons to watch this set. 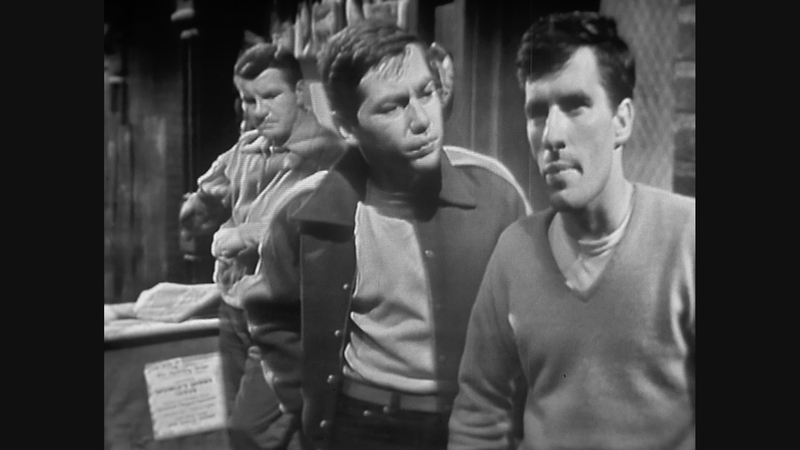 The two included television episodes are presented in 1080P resolution on a BD-25. 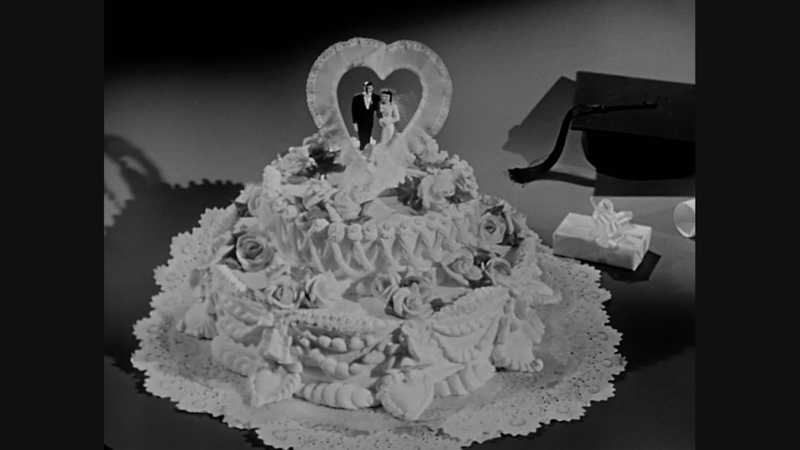 These were black-and-white dramas that first aired in 1955-1956. 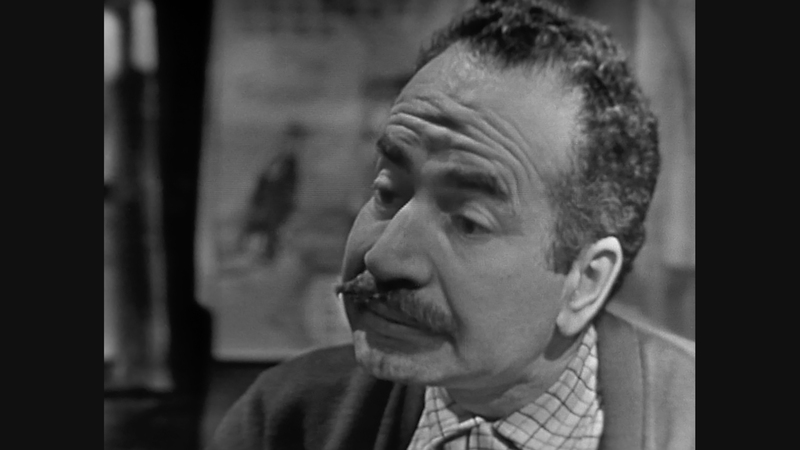 They are featured in their original 1.33:1 broadcast aspect ratio. Both transfers are from rough kinescopes with major source issues. Prepare yourself for extremely limited Blu-ray presentations that will make you question if you are watching a VHS or DVD program. Kinescopes were an early way to record television broadcasts off the air by using a film camera to capture them. For many vintage television programs where the original film elements have been lost or destroyed, kinescopes are often the only surviving document of their existence. Both lost episodes have been “restored” by Jeff Joseph of SabuCat Productions from kinescopes. 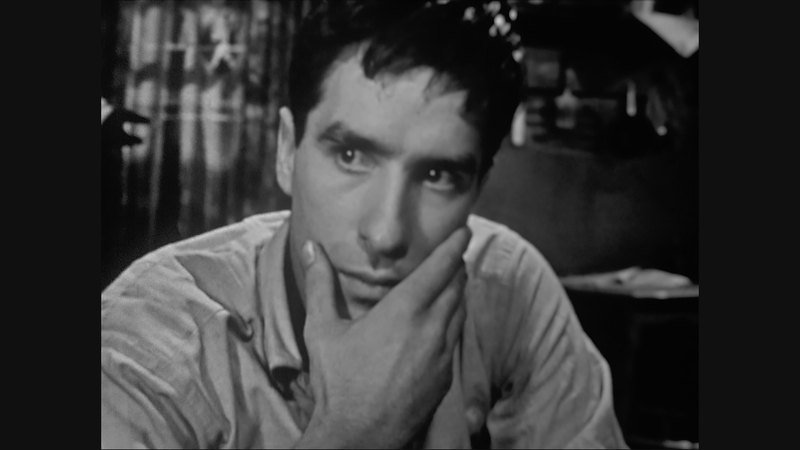 While it’s nice these programs feature rare performances by a young John Cassavetes, their actual resolution and overall picture quality don’t really merit a Blu-ray release. VCI Entertainment has put out questionable-looking releases in the past before, but Television’s Lost Classics: Volume One should have been a DVD release. The limited resolution of the kinescopes, rampant DNR used on the second episode, terrible stair-stepping artifacts, stability issues and further problems mar these episodes. To their credit, the contrast and black levels are serviceable, if barely. Buy this set if you are interested in vintage television from the 1950s. Don’t expect it looking anything like the polished Hollywood films of the period, or the fine Blu-ray release of I Love Lucy. There are clearly recording limitations to these two separate television productions from the 1950s. Each episode’s audio is showcased in serviceable 2.0 PCM sound. Expect a thin, noisy audio presentation with brassy, shrill high frequencies. The spotty monaural mixes perform adequately on dialogue. However, fidelity is less than perfect and the mastering doesn’t help things. Optional English SDH subtitles are included for both programs in a white font. The only included bonus feature from VCI Entertainment is the blooper reel. The Defenders Bloopers (10:38 in HD) – A compilation of bloopers from television shows “The Defenders” and “The Nurses.” It’s actually amusing to see this footage of actors blowing their scenes with a little friendly cursing. Language like this was practically verboten in Hollywood productions before the 1960s, so it’s jarring to see this footage when you consider its time. A brief glimpse into the Golden Age of Television with John Cassavetes and Sidney Lumet. The 15 unaltered images below have been taken directly from the actual Blu-ray. For an additional 16 screenshots taken from Television’s Lost Classics, early access to all screens (plus the 17,000+ already in our library) in full resolution, dozens of exclusive 4K UHD reviews and other perks, support us on Patreon.